Well the day started off in a much delightful way rather than I thought it would. I entered the MIT campus at around 10:15 in the morning and was dumbfound by the green foliage of the university campus. It took me a minute to get back to my senses(hopefully I guess my college mates know the reason why). Apparently I was going around in circles for about 10 minutes not knowing where to go. A few minutes later I gave a ring to Anna(the club lead and organizer at MIT) and she directed me on how to reach the venue. 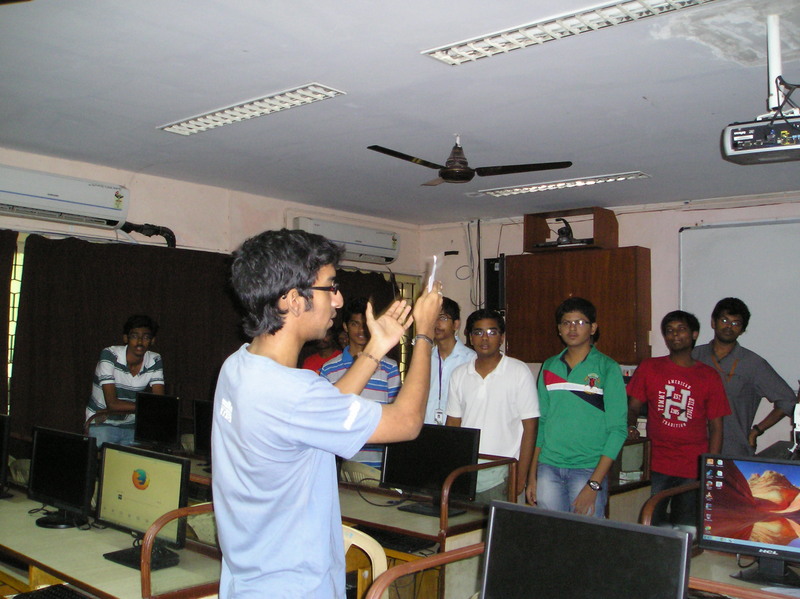 Initially Shreyas started the session off with the “Spectrogram” which he loves playing . There were a lot of supporters for and against the topic. It was more or less like a Debate wherein there were students standing for the topic and at the same time against the topic, well we found a handful of students standing in the middle “Neutral” who support for and against a topic. Since the students belonged to the Computer Science Department of MIT they had a more or less knowledge of what Mozilla is. 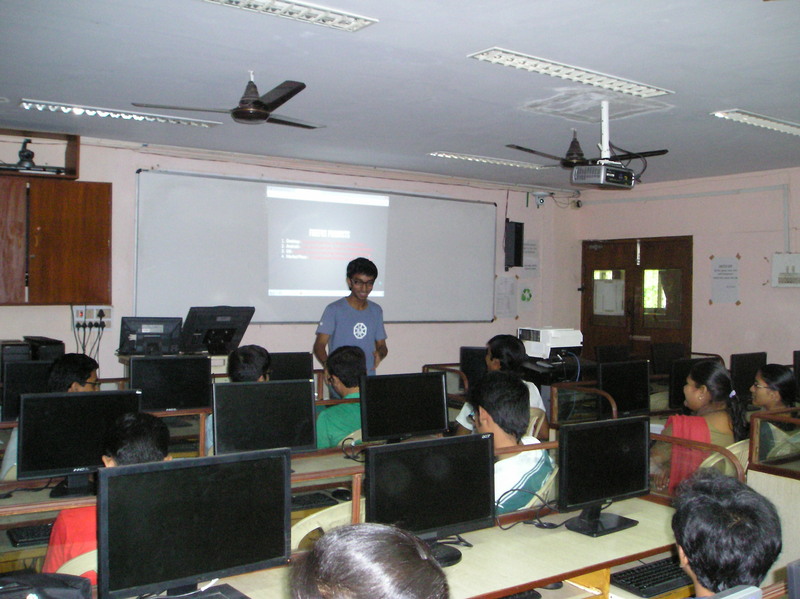 To give them a clear picture Shreyas told the students of how Mozilla is Open Source and a non-profit organization. 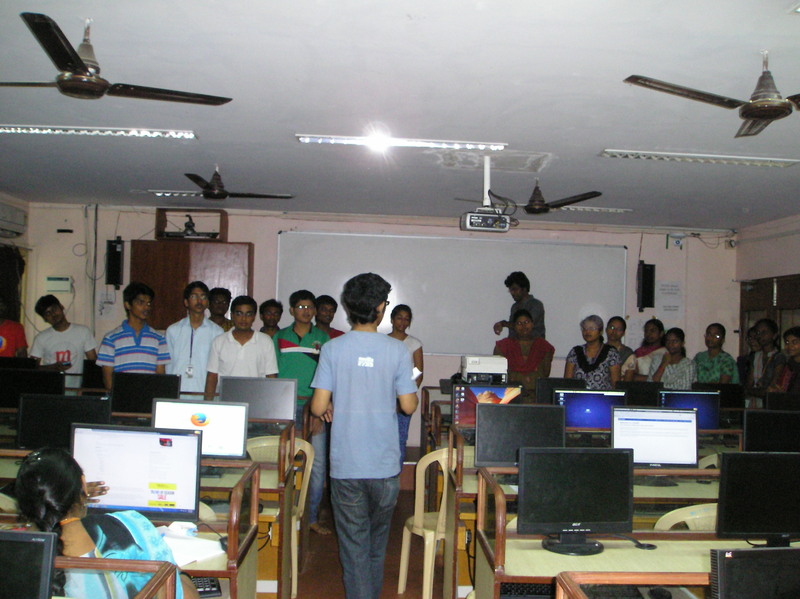 He then went on elucidating of an assortment range of Mozilla products, projects and through which students can be a part of Mozilla. 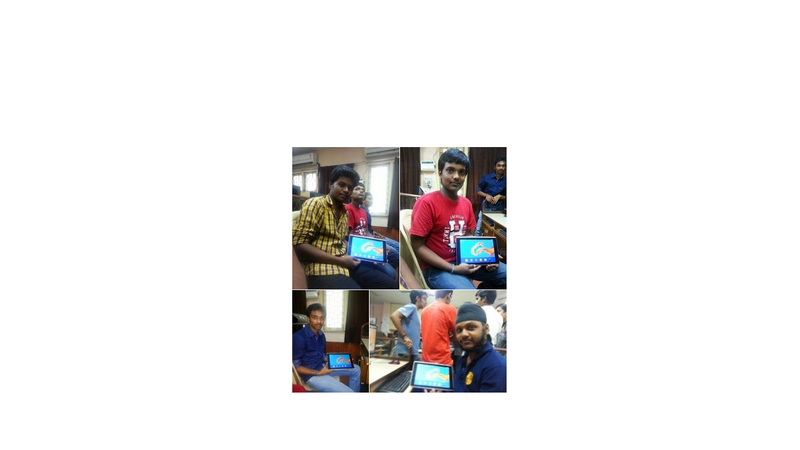 Then we had an awesome hands-on with the Firefox tablet. 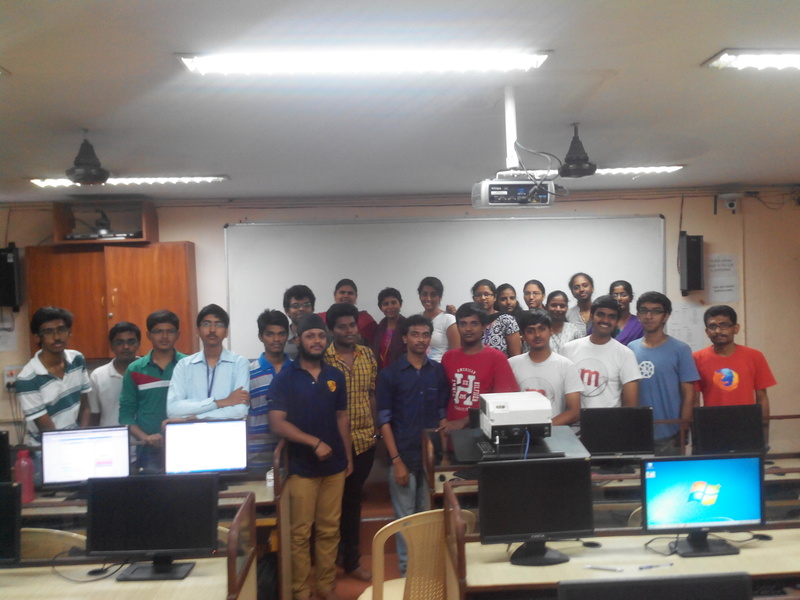 The working principle of the Firefox OS was deeply explained by Shreyas. 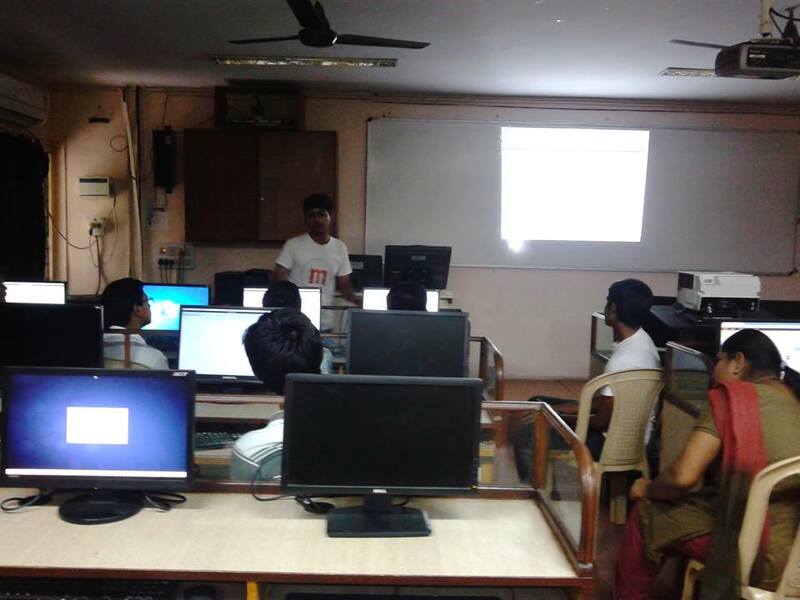 The next session was taken over by Achyuth wherein he explained about Webmaker and showed us a demo of PopcornMaker & X-Ray Goggles. 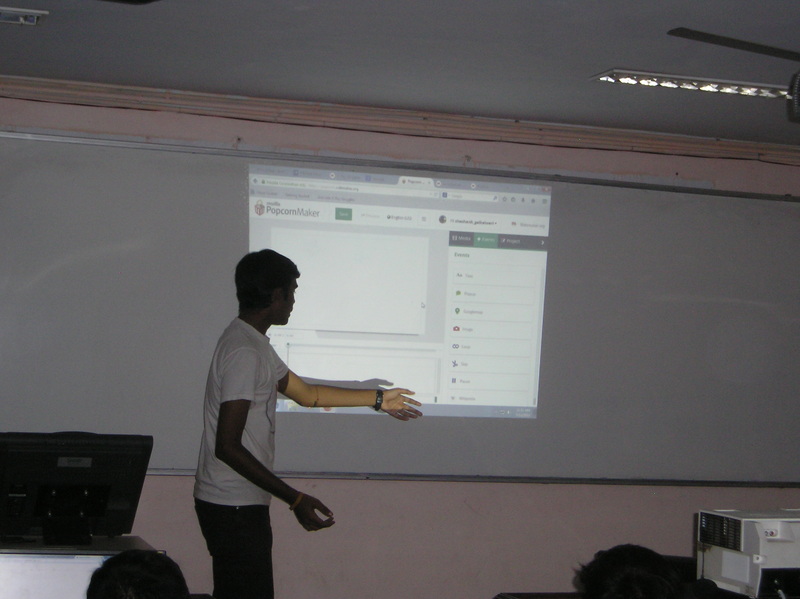 After this the next session was taken over by Shashank, he explained us about SuMo, Thimble & Localization. 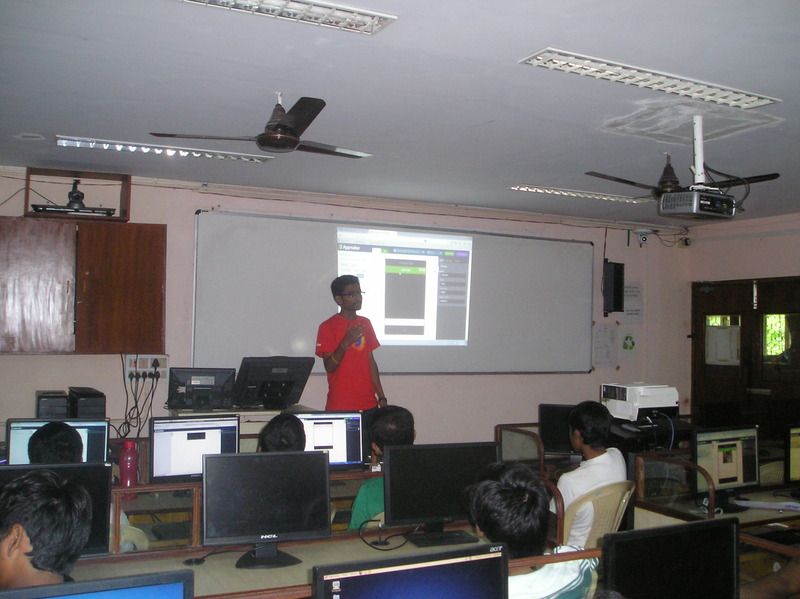 Later Nikhil took a session on Firefox OS and Appmaker. He explained the students of how to craft an App using Appmaker and it’s incorporated templates and yes because of him I realized that how easy it is to create an App using Appmaker wherein there is less of code and more of design. 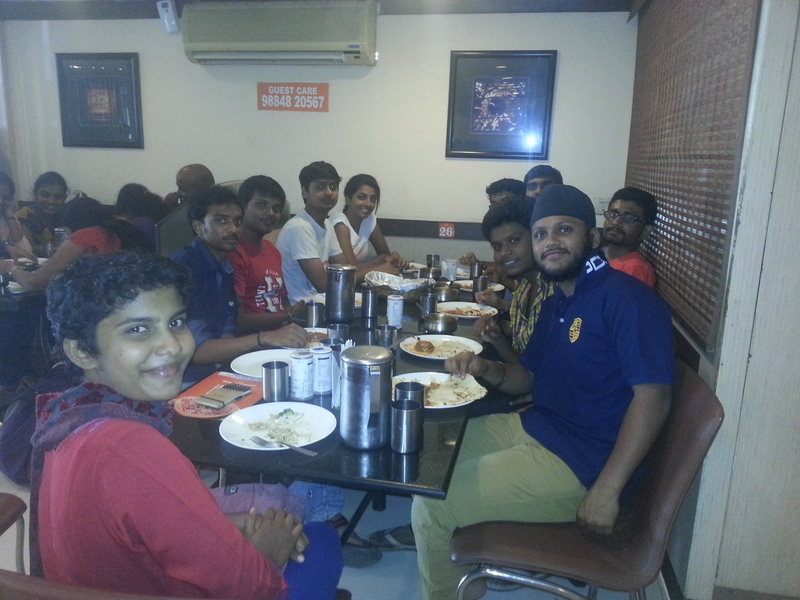 By the end of all the sessions we were too exhausted and planned for an awesome mouth-watering lunch as a community. Later on we had a word with the Chairman of CSMIT who was really engrossed in the idea of HIVE and informed us that he would try his best to talk with the administration and organize a Makerparty in MIT. Hats-off to all the organizers, Anna & squad wishing you all the best for the near future.